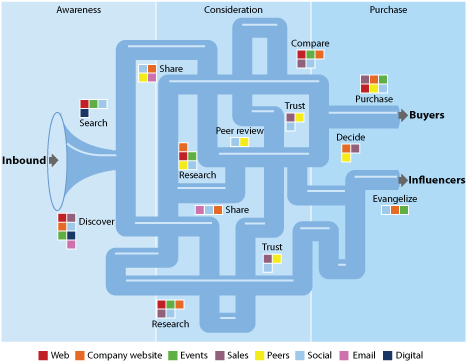 This makes managing this funnel an increasingly complex and sophisticated task for marketing and sales practitioners. In today's post we're going to look at five keys to manage and report on the B2B marketing funnel successfully. Funnel documentation might be an obvious task, though it's often forgotten or inaccurate due to shortcomings in operations or infrastructure. At New Breed, we generally look to the SiriusDecisions Demand Waterfall as the preferred funnel model. 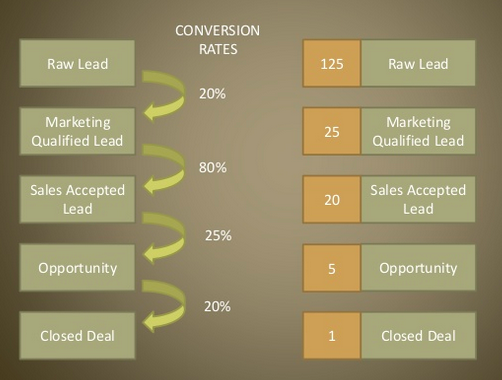 By clearly documenting your funnel and the entry and exit points required for a lead at each stage (lead, marketing-qualified lead, sales-qualified lead, opportunity, etc.) you can lay an important foundation for your organization to grow and refine the revenue team. If you're looking for some visual inspiration for this, I highly recommend checking out this presentation from David Skok of Matrix Partners. According to Bizible, Forrester has shown that 99 percent of leads never convert into customers. Fortunately with a clear understanding of your funnel process, you can work backward to understand exactly what marketing and sales require to deliver one new customers. Skok calls this "Reverse Funnel Math." Managing your funnel in this way also allows you to identify the "sticky" or drop-off points over the course of your buyer's journey where prospects exit your funnel. Start by writing down the sticky points and concerns, then think of how to incentivize a prospect to take the next desired action. When prioritizing these sticky points, it's important to realize that increases in performance at the top of the funnel will likely result in greater efficiencies than those made at the bottom of the funnel. This is because changes at the bottom of the funnel generally require less scalable and more expensive man-hours than the more scalable marketing improvements at the top. This includes conversion-rate optimization or finding a valuable new customer-acquisition channel. To learn more about this concept, check out this great post from Tom Tunguz where he illustrates how a 10-percent increase in lead-to-opportunity rates results in a customer-acquisition cost (CAC) that is half of the CAC compared to the same 10-percent increase in the opportunity-to-customer rate. Now that you know how many leads/MQLs/SQLs/opportunities you'll need to generate to hit your revenue goals, you can budget accordingly and monitor cost per lead and cost per opportunity over time. These numbers are important, especially when measuring quality and efficiency by channel. However, your goals started with a revenue number, not with a leads quota. Revenue should be the be all, end all of your marketing and sales process. This is the cornerstone of pipeline marketing. As you manage your funnel over time, always be sure to look at revenue contribution and work backwards from there. It doesn't matter if you can generate hundreds of leads from sponsored Twitter posts if none of them convert to customers contributing to the total ROI on inbound marketing. Conversly, if you can generate twenty leads a month from live chat on your website that convert to customers at 75 percent, that's a better acquisition channel. "Marketers obsess over acquisition. 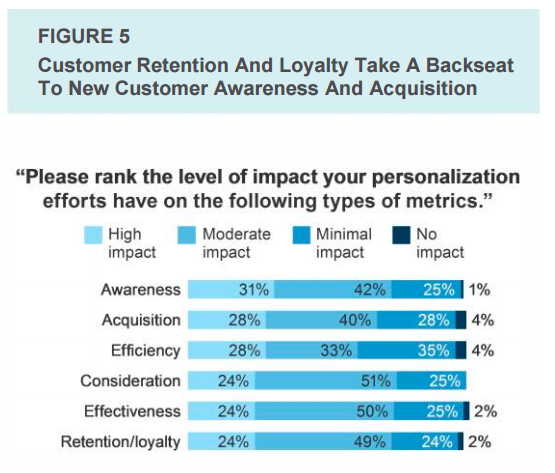 Even as the lines between marketing and customer experience blur...respondents prioritize customer acquisition efforts over nurturing and deepending relationships with their most valuable and loyal customers." The cost structure and data varies regarding exactly how much more it costs to acquire a new customer than it does to retain or upsell an existing one. However across the board it's clear that it's substantially more expensive to acquire net-new customers. As a marketer, this means that it's not enough to look at just your initial acquisition metrics. You also must take the time to examine CAC:LTV ratios and use cohort analysis to help determine which channels and tactics are delivering lasting value to your business. By incorporating these five pillars of funnel management into your marketing and sales team, you'll be well on your way to creative a data-driven and efficient demand-generation engine.